ILSpy is a freeware and simple .NET decompiler which can be used also for example for static malware analysis of .NET malware samples, because we can see the source code of loaded .NET assemblies. 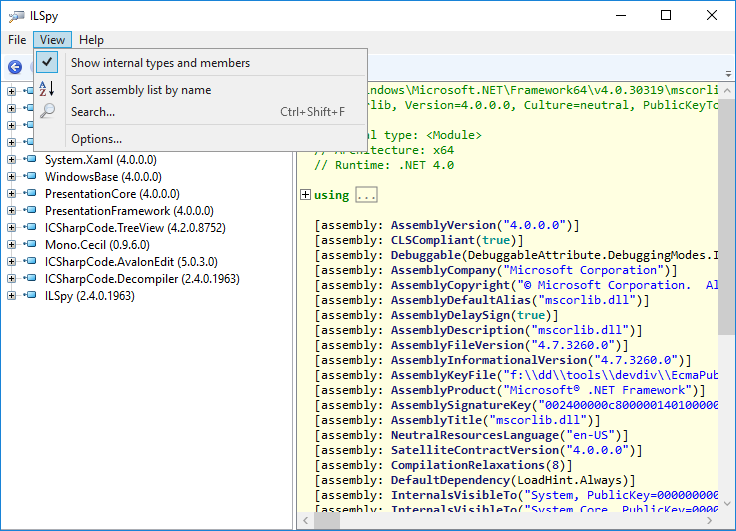 If we click on "View" we can sort assembly list by name and we can search in the source code. 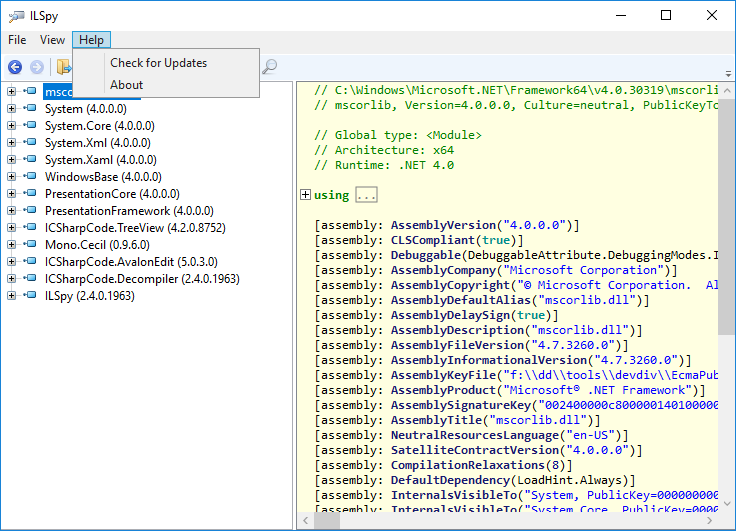 If we click on "Help" menu we can check for new updates or look at "About" window. 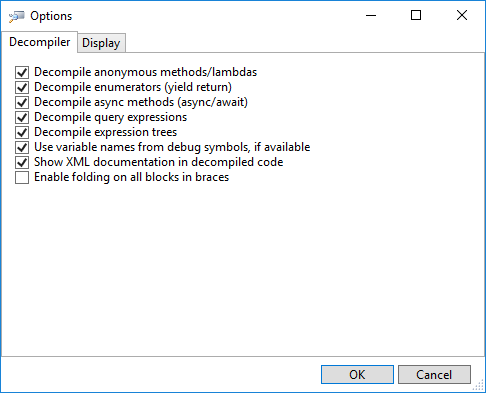 In the options we can set decompile settings, like "Decompile anonymous methods", "Decompile async methods", etc. An interesting option we can see is that we can also show/hide XML documentation of the source code. 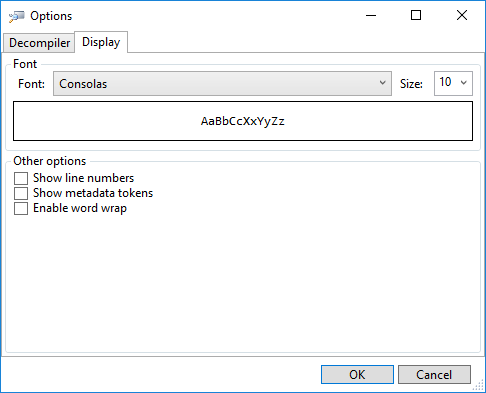 You can set text size, show line numbers in the source code, show metadata tokens, enable word wrap and choose the font. Very nice there! Thanks for the review and info. There are tons of tools in GitHub and some really need more exposure! (11 January 19, 20:52)jasonX Wrote: Very nice there! Thanks for the review and info. There are tons of tools in GitHub and some really need more exposure! 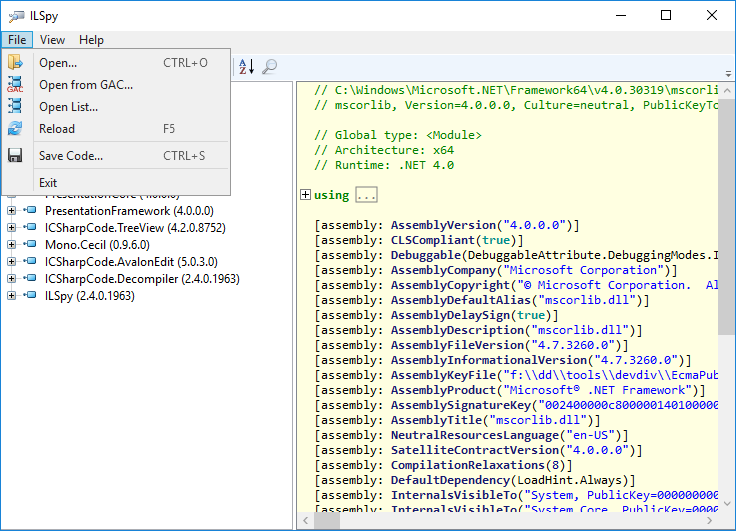 Yes, that's a very good tool to view source code of .NET malware samples!